What are the PRO-LINK plans? Why a Tunnel and not a Bridge? Why a Road Tunnel and not a Rail Tunnel? Andrew Turners submission to the TITForce in late 2016. 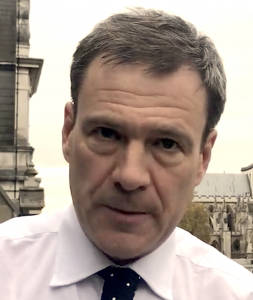 The new MP- Bob Seely … his thoughts on a Link. 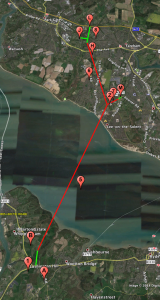 Apparent collusions to prevent a fixed link- by the IOW Chamber of Commerce. Ferry delays and cancellations…. it’s shocking! Threatening treatment and unsubstantiated letters. 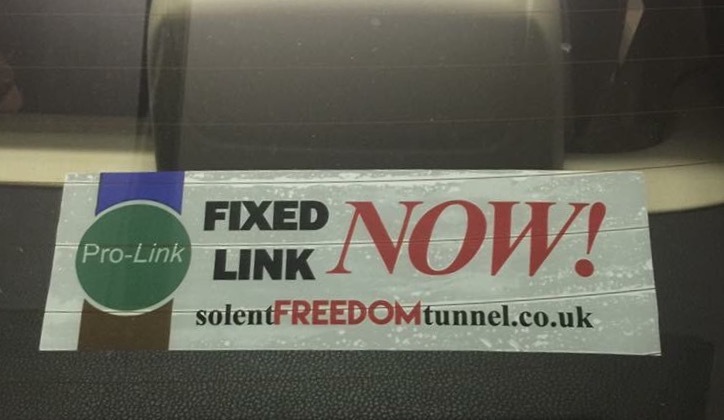 The PRO-LINK Campaign for an Isle of Wight Fixed Link. Why is there a need for an Isle of Wight Fixed Link? The PRO-LINK Campaign for an Isle of Wight Fixed Link, is to facilitate a means whereby islanders have a similar freedom of access to the opportunities and aspirations that others enjoy on mainland Britain… including healthcare. PRO-LINK respect that in the past, the uniqueness of being an isolated “island” population has been considered a blessing. 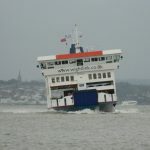 However, two corporately run ferry businesses profiteering at the expense of the island’s welfare, is not considered an attractive “uniqueness”. Evolution dictates the time has now come to change the island’s path into the future. Cross Solent transport has to now adapt to the efficient and speedy travel expectations of 21st century business, tourism, healthcare, education and social commitments. At present, all are suffering due to the island’s isolation. Some people resist change due to the fear of the unknown, but change is now gradually but surely occurring detrimentally, without ease of cross Solent access. Many aspects of island life are now suffering…worsening as the island’s population inevitably increases. Other islands in the world are evolving in the 21st century. Click here to understand why? Ferry crossing schedules have been severely reduced over the recent years and fares have increased… becoming more demand driven. This combination provides an unaffordable barrier for those on an average island wage to venture off the island. £200 return crossing for a car is not uncommon during the summer months… sometimes even £250. Standard return passenger fares top £80 – £100. Island tourism has been greatly affected by the advent of Booking .com and other web based accommodation providers. Once booked, prospective hotel or guest house customers then try to book a crossing to the island by ferry, only to find there is no availability or the price is prohibitive. This is creating havoc not only with tourism, but also business and personal lives. Click Here to decide if you’d want to put your car on this ferry? The Solent ‘barrier’ has now in the 20th and 21st century, caused a continuing spiral of low wage / high unemployment socio-economic deprivation… while the surrounding South East mainland enjoys vibrant success, social mobility and investment. Connected by road tunnel to relieve the isolation it will still be an island, with the ability to create opportunities lacking at present. With fast, easy and reliable access, the Isle of Wight will have the potential to become the most desirable place in Britain to live, visit and perform business. The Solent Freedom Tunnel will present the foundations for island success to build on. So what is holding up progress? The island’s MP- Bob Seely has personal associations and interests with both powerful and influential ferry companies and is purposely obstructing studies and progress. The MP’s cousin – Patrick Seely, is a Director of Red Funnel. The MP’s close friend, advisor and campaign manager since 2009 David Pugh… owns lobbying company ‘Chine Consultancy’, whose major client is reputedly Wightlink. (David refuses to release the company client list). The MP has actively attempted to dismantle this campaign many times… read more. Establish and expose why IOW institutions, the MP and the IOW Council administrations continually and repeatedly resist standing up to the IOW Ferry Companies… while customers complain and the socio-economic welfare of the Isle of Wight suffers? Pages to explain what is happening are: Ferry Company Control and also the ex MP and the previous IOW Council. The new MP – Bob Seely, while not ever having lived on the island, does have personal interests within the ferry companies himself. 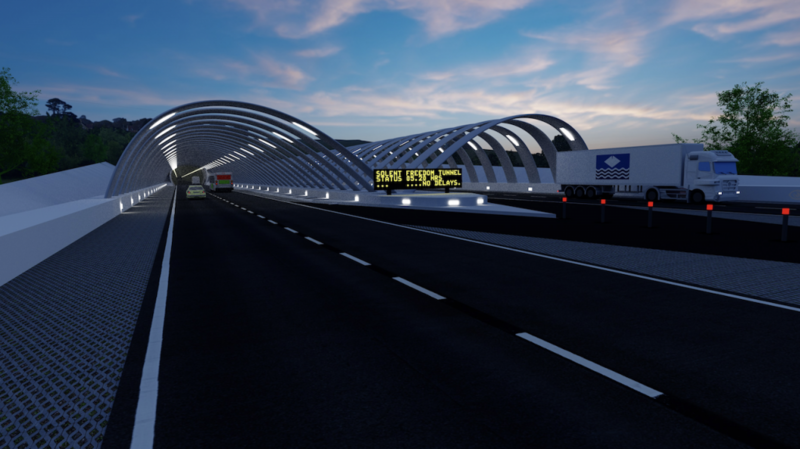 Facilitate the implementation of an independent Fixed Link Tunnel Viability Study. 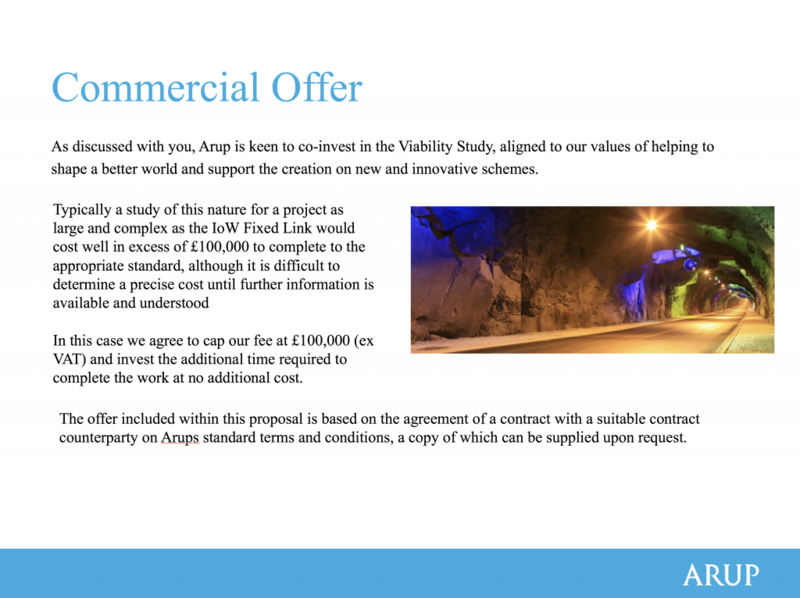 A new company – Able Connections Ltd, is now providing the necessary framework to communicate with the authorities and procure the required viability and feasibility studies. 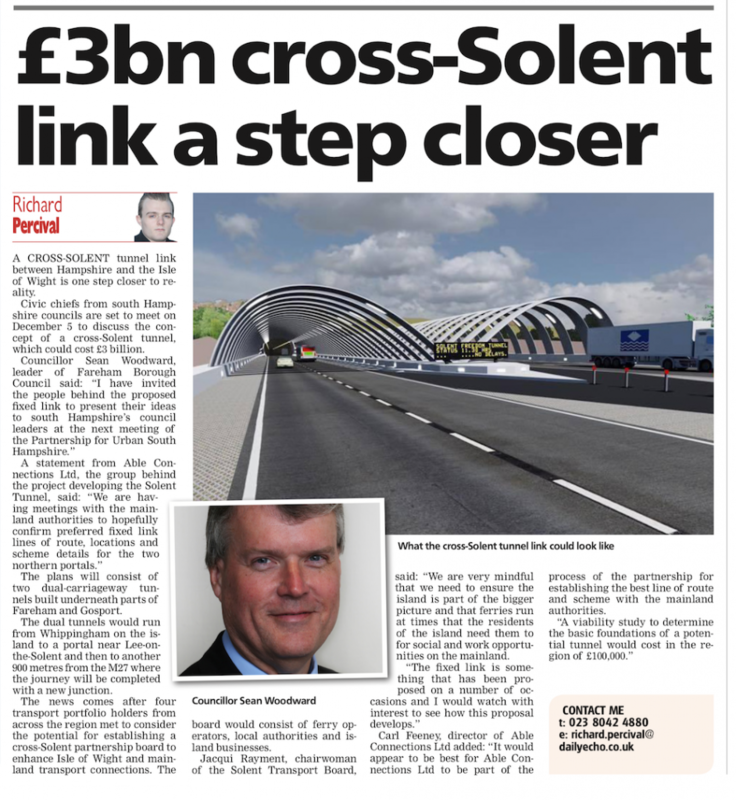 This will establish the best way forward for the island’s cross Solent transport links… the details of the 2016 PRO-LINK plans. Since 2014, PRO-LINK has developed a line of route for the tunnel scheme that has support from the mainland authorities, with the IOW Council officially endorsing support for a feasibility study. Initially though, a ‘viability’ study needs to be performed which will confirm whether the scheme can be paid for by both Tunnel toll income and regional economic benefits providing UKPLC with a higher tax revenue. The scheme is definitely feasible as has been proven many times around the world… so if it is ‘viable’ and the benefits are substantial enough, it can be constructed. How are we getting on so far? Please feel free to use the content only would look better if you add your own feelings too. I would like to bring to your attention the dire situation that the people of the Isle Of Wight are facing. 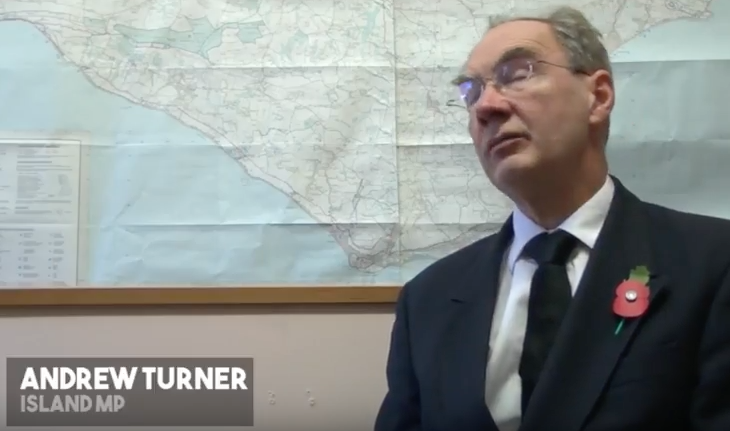 The island has a population in excess of 140,000 which makes it the largest constituency in the UK!With that in mind then surely we have a certain right to being heard and listened to from Parliament?OUr mp Andrew Turner I feel,is failing to make proper representation to The House about our situation and as to just how bad it is. Transport infrastructure is being talked about so much these days as a necessity for growth and maintaining services….the island is operating in reverse gear I feel and that surely has to stop! I was incensed recently when I read of the island of St Helena having huge amounts of money being poured in for an airport that can’t be used.Ridiculous! The IOW thankfully has a group of people who are trying to get our problems addressed by proposing that the island has a Fixed Link(http://solentfreedomtunnel.co.uk/). For far too long now the island has effectively been held to ransom by the main two ferry operators Wightlink and Red Funnel,both owned by companies who use the island as a cash cow for their pension portfolios.There’s a moral and ethical aspect to this surely? What I’m asking for is that the islands predicament would be raised in Parliament in spite of our mp and in spite of our local council who seem to be too afraid to “disturb the waters”! I have spent over 44 years living on the island and for the sake of the future generations we need some hope and it is an urgent situation.Please consider this issue and I thank you in the hope of being listened to and a positive outcome in the vey near future. Did you know that if you or a loved one become extremely poorly for example a heart attack, they have to rely on a helicopter to transport them to a catheter lab for life saving treatment? Now if this helicopter is not available (and most of the time it isn’t) you or your loved one will have to be taken to St Mary’s and kept stable until an ambulance transfer is available to take you/them to the Queen Alexandra in Cosham to have treatment. Sadly and at no fault to any of the staff but St Mary’s is not equipped to deal with a lot of life threatening conditions. A fixed link will open up the way for an ambulance to have direct access to the life saving services we deserve. So I will leave it up to you, is your life or the lives of your loved ones worth the risk? I have Cystic Fibrosis. I have to go to Southampton every 3 months which costs over £50 each time and I have to take a day off work as it takes so long. If I could use my motorcycle and a tunnel it would only cost petrol and tunnel fee’s. Also I could be back at work in the afternoon with time to spare. Detractors say if you don’t like it move, so if you have get ill you have to move your entire family???? The only sensible argument against is cost although I could see this being recouped if UK companies were used to build it. Time to move to the 21st century and stop the retired generation from pulling this island down with them. My Father is terminally ill on the mainland. I want to spend as much time with him as possible, but the extortionate ferry fares makes this impossible, I just cannot afford it, and the increased fares during high seasons make it all the more impossible to afford travel. The journey time to see him is 3 hours, this could be cut right down with a drive through fixed link tunnel open 365 days a year. What does concern me is the lack of clarification on what it would cost to use a fixed link, I have heard as much as £20 each way which totally makes building it pointless as that is more expensive than some ferry fares. I am for. The pros out way the cons by miles. This would be a huge help for my family’s life and no doubt for many others. 1. Our hospital is on black alert – most operations and procedures are being delegated to the mainland. I had a knee op recently and 7 return trips over paid for by the NHS nothing for my relatives for various checkups. The day of the operarion I was discharged from the hospital at 6pm, got home at 10.30pm because I missed the Wight link ferry by 3 min and I had to pay for my own car cost. 2. The UK is joined to France by a tunnel and yet it remains an island. They have choices to get off – road, ferry, rail, air we have nothing. 125,000 people are being held to ransom by two ferry companies. There ferries are getting bigger and bigger and we have less and less sailings. 18 years ago you could get off the island every 30 minutes. 6. Our tourism is dying – Bestival being the most recent example. 7. Postage to the island is very selective. Many couriers won’t post here at all. I support local shops but often the items are very very expensive ( Ferry costs) or there is nothing here. A small parcel posted on the mainland can be as cheap at £1.99 tracked, the IOW 3.65 and we only have Royal Mail. 8. There is less and less for our young adults to do. The ice rink has closed, every club has closed – so what is left bars? 10. And to cap it all our house prices are 25% less than the mainland. To sum up – we need another way to get off the island. We need choices. For the future of the Isle of Wight and the residents and all of the young people who live here we must have change eg: a fixed link to the mainland and not be held to ransom by the ferry companies and their extortionate prices, IT IS TIME FOR CHANGE.!!! We definitely need a direct link to the mainland! I am for a fixed link as apart from the usual moans about the ferries and my family living on the mainland, there is the threat of the government closing the prisons on the island. If this happens then the economy on the island would plummet. If there was a tunnel it would give easy access for those made redundant to get another job or travel to another prison on transfer. It would also help with the islands economy. I often feel like a prisoner, held to ransom by two ferry companies from a financial and freedom of travel perspective. If you need to go to the mainland (An island incidently) not only is it extremely expensive you are also restricted by their timetable, this is the 21st century people should be able to travel at will. Many companies won’t deliver to the island so even ordering furnishings etc are restricted. The island hospital is failing and the economy of the island is dying in front of us. HELP!! We need the fixed link the negatives of not solving the island’s issues will be the downfall of many!! Since my original post back in November,the islands situation has taken a further backward step with our local hospital being taken into “special measures”. This epitomises so much as to the general deterioration that is happening on the island and I’m convinced more than ever that THE ONE THING THAT CAN REVERSE THIS WOULD BE A FIXED LINK(TUNNEL). To oppose this with little reason is to further the cause of “let’s do nothing and see what happens”. There is no room for fence sitters or apathy. A tunnel is getting desperate our hospital is not able to service much any longer. Costing the NHS a fortune to send us over to see specialists. Our families are paying fortunes to visit and visa versa. Ferries sailing lessons and less frequently. The Island desperately needs a fixed link. The ferry companies have no right to charge excessive prices during the holiday periods. They are as bad as airlines. It costs no more for the ferry to go in August than December. We need to stop Red Funnel and Wightlink cashing in. Somebody is getting rich from this. The employment situation on the Island is dire. The Isle of Skye got a bridge a long time ago. Get on with it. The Islanders deserve an improved standard of life. Where would a tunnel go from and to? All very well having a fixed link but think of the jobs that will be lost and family’s affected ! All the local hauliers would no longer be required because mainland hauliers could do it themselves , where would all the island drivers have to go to find work? And at what cost! Our island roads are busy enough, could our island cope if people have free reign to come over as and when?! My family remain on the Island to this day and I visit regularly. My great aunt is now in her 90’s, my aunts and uncles, cousins, 2nd cousins and 3rd cousins all remain on our beloved Island. My parents and grandparents, great grandparents and so on are all buried there. I’d be there several times a week if I could, seeing family members, spending my money boosting the economy, I’d possibly buy another property. A fixed link would allow me to tend graves, visit relatives in need of my assistance – day and night. My family could visit me more easily and all for a lower cost I would hope. It would also create jobs. Businesses would see the Island as viable in a better way than it does today. Medical treatment would be more accessible if St Mary’s cannot deliver (I understand you are on black alert). Tourism wouldn’t slack….it would be boosted. People are put off by high ferry fares. Recently I paid £150 for a ferry (Cowes Week 2017) and spent £700 on hotels. I would have stayed longer perhaps without an extra £150 to find? To be truthful the money isn’t an issue for me, but for others it truly is – the Island needs its chains removed and Southampton wants to show some love to it’s little sister across the water along with the rest of Mainland UK. 👍🏼👍🏼👍🏼👍🏼 I am pro-fixed link and so should anyone who wants to see the Island flourish in years to come. The Island has an aging population and 25% of its children do not gain qualifications. 15% of people still claim a benefit of some sort – all reasons to create opportunity. I expect to get negative responses to this as I don’t live on the island but have been there every year on holiday and other occasions since being a child due to close family living there. My family are no longer there but we have continued because the island has been part of our lives. By coming to the island we bring our money which fuels the islands economy. Sadly due to the price of the ferry increasing we are now looking at other locations on the mainland. We have seen so many attractions close and it is becoming less attractive for a holiday. Tourism for an island is vital for its economy and a fixed link would secure this future and enable people to continue to enjoy this beautiful and amazing location. For islanders it would mean more competitive prices as the ferry cost would not be built into the shops costings, there would be better more reliable access to vital life saving medical services located on the mainland. Better response for serious situations requiring Emergency service support from the mainland. A fixed link can only be a benefit to everyone. With very few decent job opportunities and no universities here to carry on as we are with no fixed link is just not sustainable. It is of great concern when someone is taken poorly and has to be transferred to the mainland as time is of the essence. I am sick and tired of hearing old people complain about a fixed link when in their day jobs were plentiful. Also, people that move here and complain about a fixed link have no right to because they have taken into account affordability for THEIR personal circumstances, and they have made a conscious decision to move here. People who were born here or moved here when they were young do not have this choice because they have family here, and a move would mean hardly ever seeing their family due to the cost of getting on a ferry. Also, I am sick and tired of doing the same thing each time I take time off of work, wouldn’t it be lovely to just get in the car and go where you please. I do hope it wouldn’t cost Islanders any more than £20 a day in the Summer months. I really hope it happens, it will greatly increase the younger generations prospects. I had to check that this crazy scheme was not an April Fool joke. After the repeated failure of the chain ferry in Cowes, and the unreliability of the Hovercraft, if this is the best that Island based organisations can manage, Red Funnel and Wightlink can rest easy. All Island politicians always get cheap support from IoW residents if they criticise the ferries, but I also know they have had special favours from the ferries in the past. 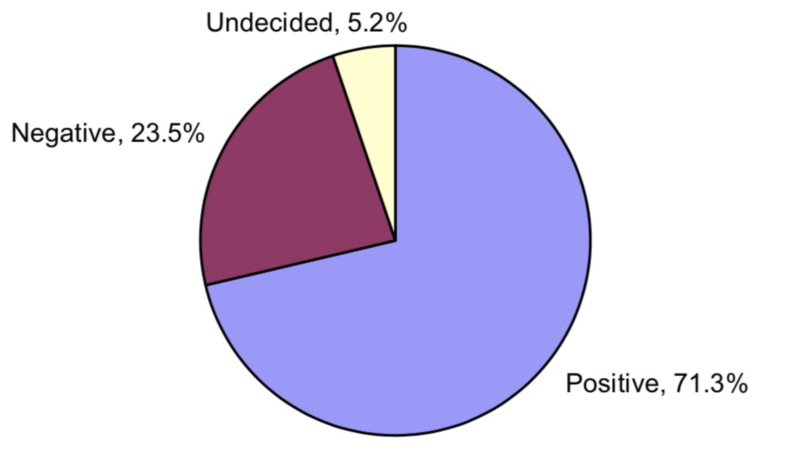 The majority of people want a fixed link. How is the MP conducting himself? How can i show my campaign support? The ex MP and Council spoke… is the situation that bad really? 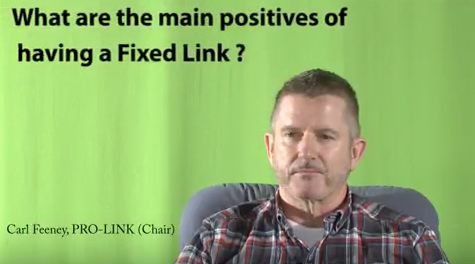 Crime and the Fixed Link? 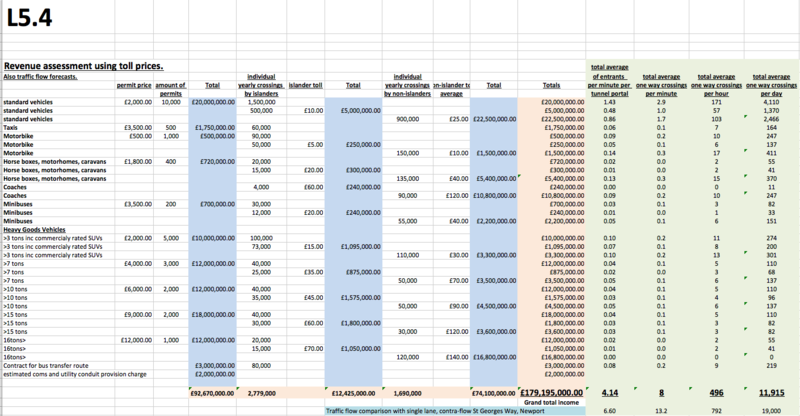 L2 Letter to Chris Dodd from the DfT – (FULL SIZE). L4 Letter to A. Turner MP from Under Secretary of State – Andrew Jones MP. March 2018 Report on IslandLine by Daniel Wright of ‘Reconnections’. What will happen to Island property prices? 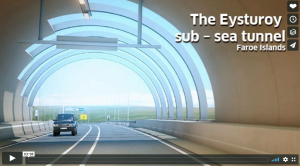 With a Fixed Link Tunnel, will the Isle of Wight still be an island? Copyright © 2019	Pro-Pink. All rights reserved.